Flush with the cash of Russian billionaire Dmitry Ryblovlev, AS Monaco has been involved with some of the most eye-catching business in this summer’s transfer market. 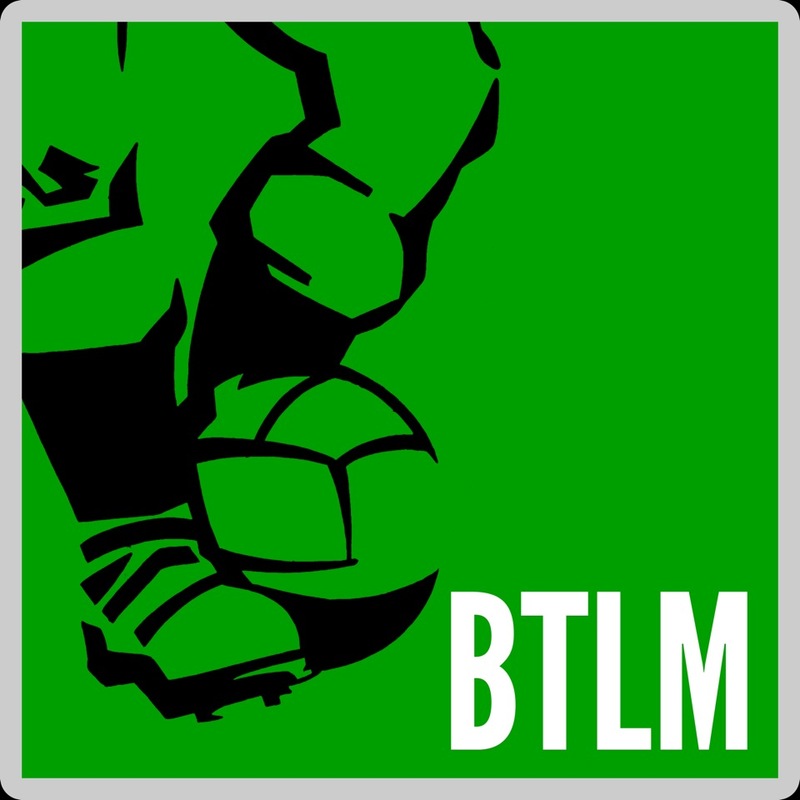 In dispute with the French Federation over the club’s controversial tax status, the bulk of the transfer spending thus far seems to be have been deliberately focused on foreign imports rather than players from the French domestic market. 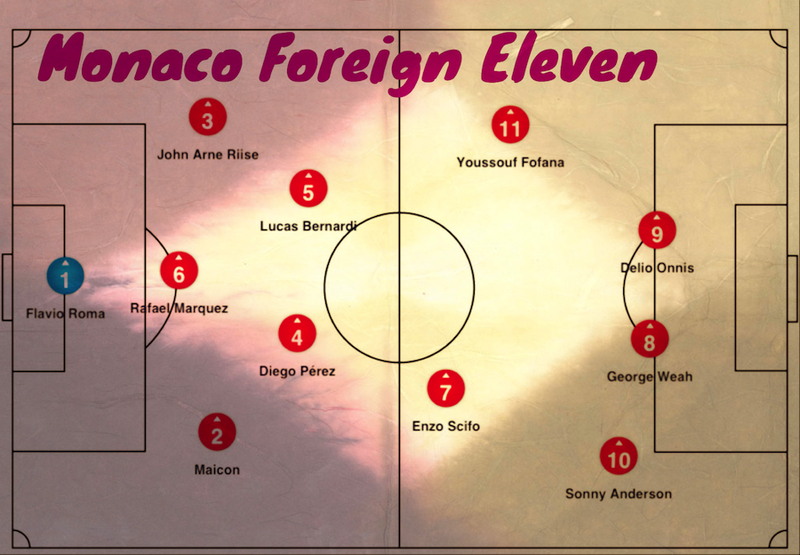 Monaco is a club with a lengthy track record of successful foreign signings of course, so with interest in the club so high at the moment, we thought we would create a Monaco Foreign Eleven: our best team of foreign players from the club’s history and the ones whose fine careers in the principality set the standards that the newcomers Falcao, James Rodríguez and Moutinho will be looking to match. We’ve picked our team in a 3-4-3 formation (or 3-2-2-3 to be more precise) and as ever our Eleven line-up aims to be a well-balanced side rather than an attack heavy galacticos-fest. Click to enlarge the image and read on below to find out more about the players we have selected. For a club with such a fine tradition of French international goalkeepers, the expensive purchase of a young Italian keeper from Piacenza seemed a bold gamble for Monaco. It was a successful one though: Roma was a mainstay in the team throughout much of the last decade, making more than 200 appearances and playing in the 2004 Champions League Final. His return to Italy in 2009 gave him few opportunities for first-team football and he was happy to come back to Monaco as a reserve in 2012. Signed from Cruzeiro for a modest fee of £2.1m, Maicon settled well in Monaco and quickly became the most effective right-sided defender in the French League. He was snapped up three seasons later by Inter and would enjoy great success in Serie A. An astute signing from Aalesunds, the Norwegian left-back had just a single season of senior football under his belt when spotted by Monaco. Riise was a powerful and dynamic player up and down Monaco’s left flank before moving on to bigger and better things with Liverpool. Another disciplined, deep-lying midfielder of South American provenance, Bernardi was understated in his playing style but highly regarded among teammates. He was a key member of the side that reached the 2004 Champions League Final. Signed from Mexican club Atlas, Márquez developed into a mobile, progressive central defender or sweeper with a good reading of the game. Following four impressive seasons in the principality, Marquez moved to Barcelona where he would enjoy plentiful success. This brilliant, if mercurial, midfield creator had a club career that dazzled and disappointed in equal measures. He showed much of his best form in France with Auxerre and, happily, Monaco where his playmaking skills illuminated the French League for four seasons. Brought to Europe from Cameroon by Arsene Wenger, Weah developed rapidly to display much of the wonderful, all-round attacking play in a Monaco shirt that would ultimately take him to Paris SG, Milan and global fame as Africa’s best footballer. Scored 66 times from 149 appearances. There’s been no more devastatingly effective goalscorer in the history of French football than the Italo-Argentinian striker, Delio Onnis. He scored prolifically for Reims, Tours, Toulon and particularly Monaco where he spent the peak years of his career. Quick and direct if not especially elegant, few strikers could match his sixth sense for being in the right place at the right time. Scored 223 goals in 263 games for the club and it’s unlikely his overall record of 299 French League goals will ever be beaten. The Brazilian striker enjoyed a fine if short-lived spell with Marseille curtailed by relegation due to a bribery scandal. Monaco pounced to profit from their rival’s misfortune and the quick, lithe and elegant Anderson would score 67 goals in 117 games at the Louis II before Barcelona came calling. With pace to burn and mesmeric dribbling skills, the Ivorian was one of the most entertaining and creative players in the French game in the late 1980s. While not an especially prolific scorer himself, Fofana was Monaco’s most reliable creator of goals for more than half a decade.